OBS: Detta seminarium genomförs på engelska. So are places really brands? What are the key challenges and unique aspects of the branding and marketing places and destinations? 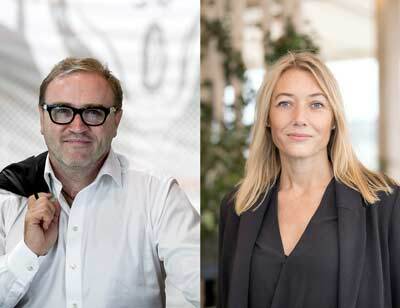 Welcome to this lunch seminar with Julian Stubbs, place branding expert and brand strategist, who created the brand positioning and tag line ‘Stockholm, The Capital of Scandinavia’, and Anna Gissler from Stockholm Business Region. How do you market and brand a place? How does it differ from the marketing of consumer goods and services? What role do politicians play? How do you position a place? The main presenter, Julian Stubbs, will use examples from his own career covering projects for the city of Stockholm, Sigtuna, Royal Djurgården, Basel region in Switzerland and the city of Liverpool in the UK. He’ll also share stories regarding the branding of New York, Hollywood, and even when he interviewed John Lennon’s sister. We will also hear a short presentation from Anna Gissler, acting CEO of Stockholm Business Region on their marketing and branding today – some 14 years after ’Stockholm, the Capital of Scandinavia’ was first launched. She will also share some insights on Stockholms DNA and where creativity thrives. Stockholm Business Region, with the two subsidiaries Visit Stockholm and Invest Stockholm are responsible for promoting and developing Stockholm as a business and tourist destination under the brand Stockholm – The Capital of Scandinavia. Nyfiken på mer om place branding – ta en titt på dessa videos från Place branding eventet i Liverpool. Julian is a Brand strategist, writer and presenter who has worked with developing brand strategies and identities for a wide range of organisations and places. From Technicolor, the Hollywood movie company to the Nobel Peace Prize Concert, to the city of Stockholm, in Sweden. His first business book, titled ‘Wish You Were Here’, explores the branding of places and destinations as well as his work for the city of Stockholm. He is founder and CEO of UP THERE, EVERYWHERE the global cloud based brand and digital communications group. Anna Gissler, is the acting CEO of Stockholm Business Region, with its two subsidiaries Invest Stockholm and Visit Stockholm.